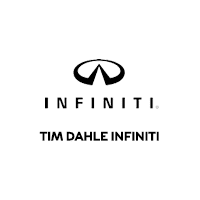 Tim Dahle INFINITI is a locally owned and operated dealership and a proud member of the Tim Dahle Auto Group. Since 1968, this auto group has been helping drivers from Salt Lake City, Sandy, Draper, South Jordan, Ogden, and Provo find the right vehicles at the best prices. Car buyers who prioritize luxury, style, performance, and refinement will find lots of exciting options to choose from at Tim Dahle INFINITI. Visit our showroom to tour and test drive any model in the current lineup of new INFINITI cars. Each is undeniably impressive and immediately exciting. Find even more to choose from by browsing our extensive inventory of pre-owned vehicles from many of the world’s major automakers. These vehicles are priced to help you save and look and drive like new. Our on-site financing team is here to get everyone approved for a loan, and our high-tech service center is capable of handling all your maintenance and repairs. For home mechanics, we also offer official INFINITI parts and accessories to help you get the most out of your drive.